The brief: Halebank C of E Primary were due their RE inspection. The newly appointed Head felt that their faith needed to be displayed and expressed more prominently. 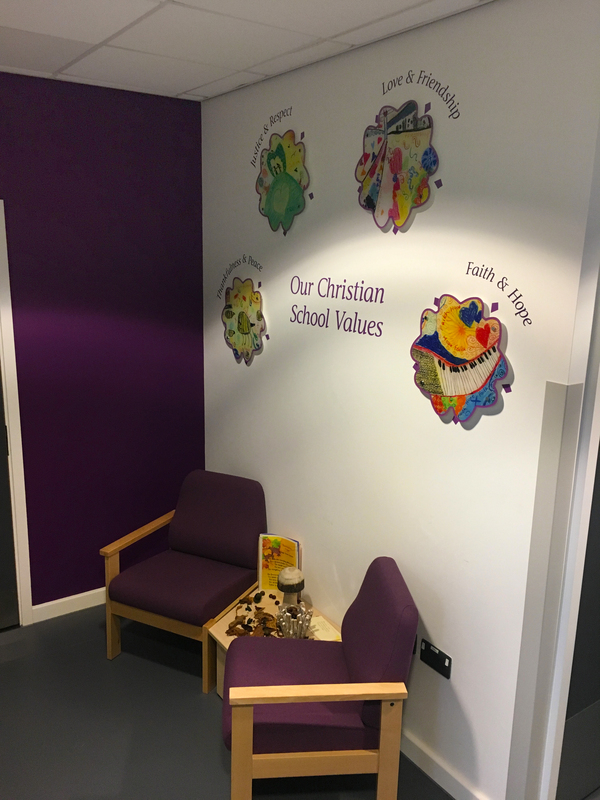 Our brief was to transform their school entrance in to a welcoming space for visitors that reflects the school’s faith and values. 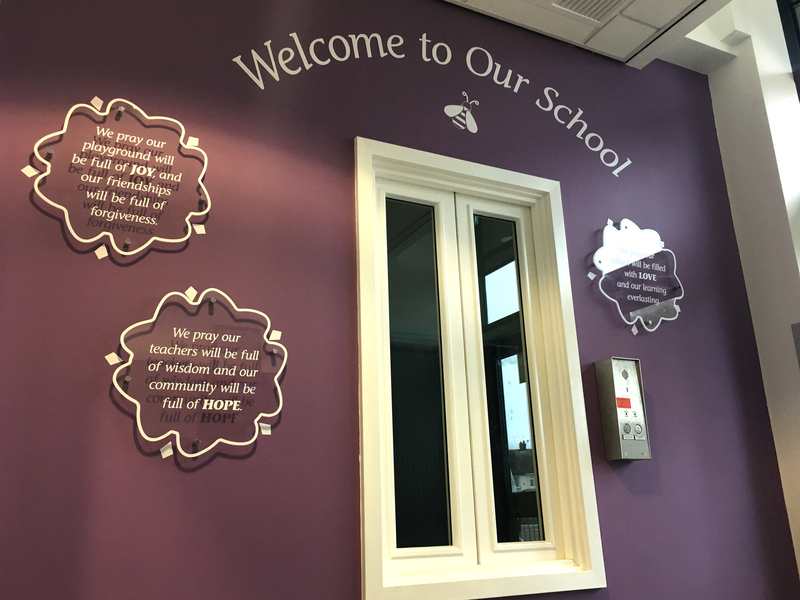 The process: Two Thirds Design were invited to Halebank C of E in Widnes, Cheshire to brainstorm ideas for their school interior. 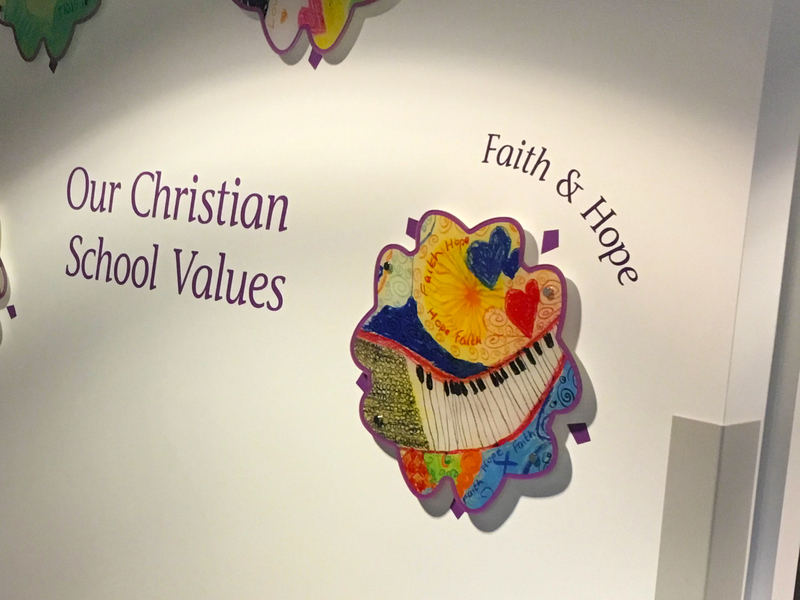 We used the school’s core values, pupil’s drawings, school motto and elements from their existing logo to create their wall displays. 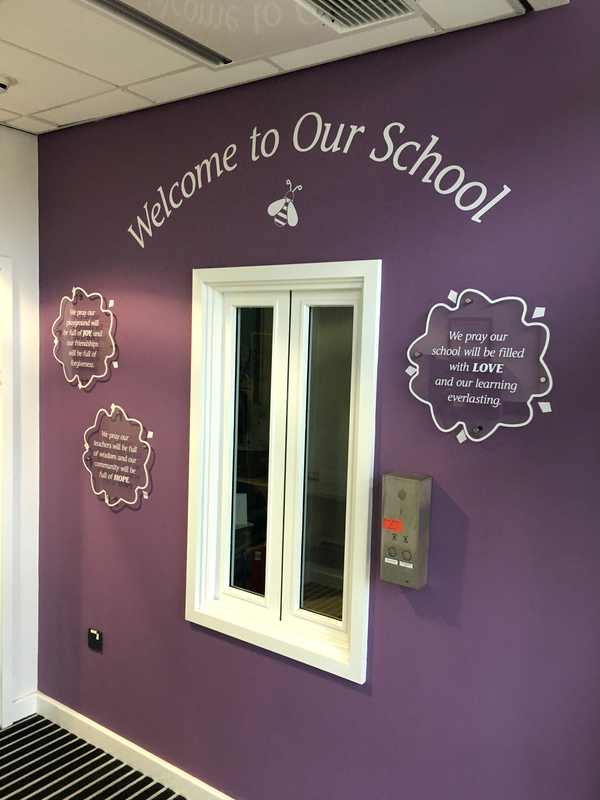 The end result: The reception space has been transformed from bare walls to a welcoming environment using wall displays created from acrylic cut out shapes and profile cut vinyl.